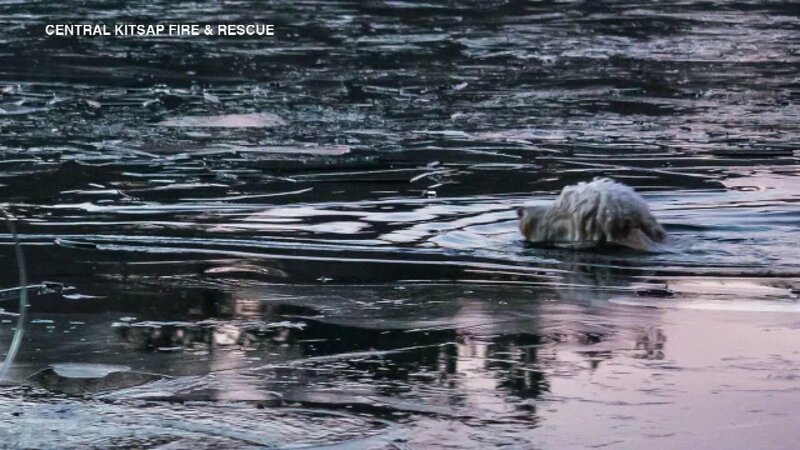 POULSBO, WA -- It was freezing in Washington state Thursday, when firefighters rushed to save a dog from an icy lake. 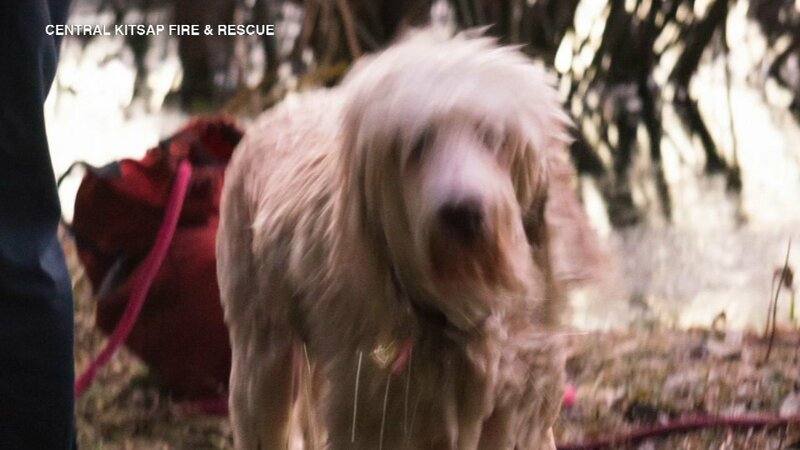 Central Kitsap Fire and Rescue were called to Island Lake near Poulsbo, Wash., around 4 p.m. 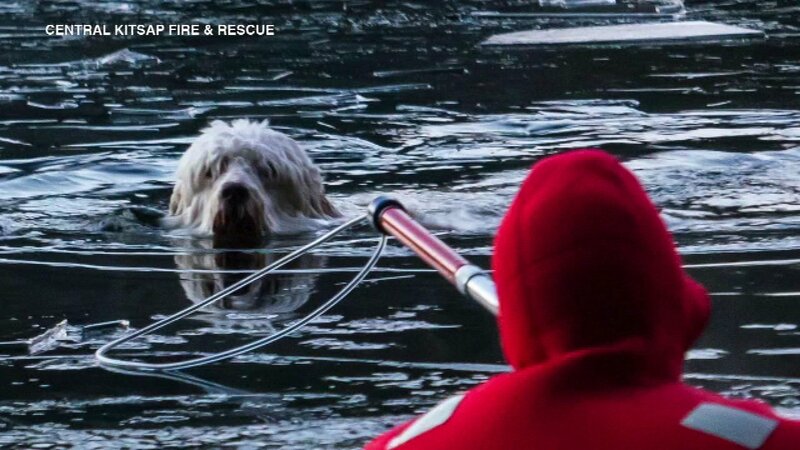 When crews arrived, a 4-year-old labradoodle named "Duke" was 18 feet from shore. 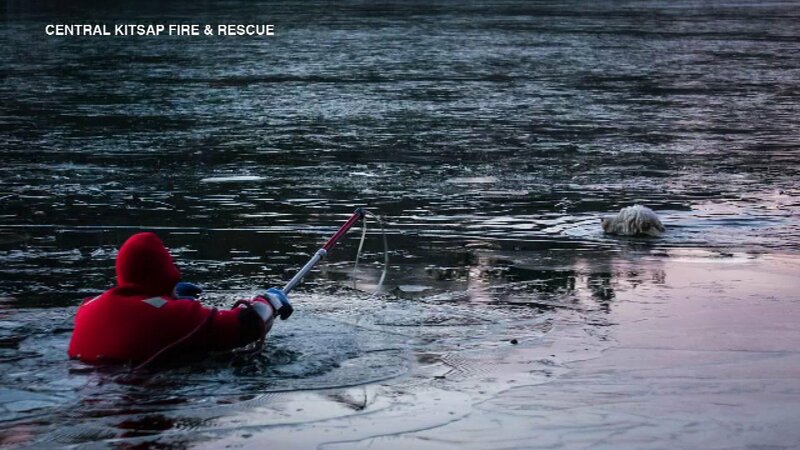 Duke's family said he had been playing with their daughter when he got away and fell through the ice, KOMO reports. 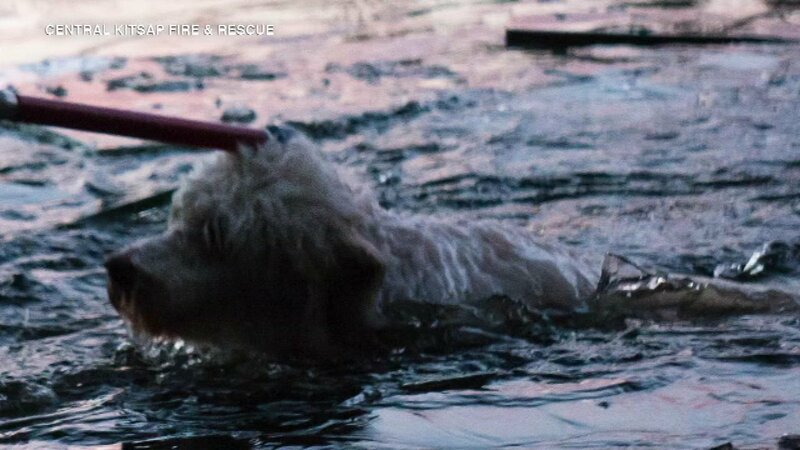 Lieutenant Bill Green used special equipment - a life hook - to get Duke back to shore and out of the water. Duke was in the icy water for about 25 minutes. 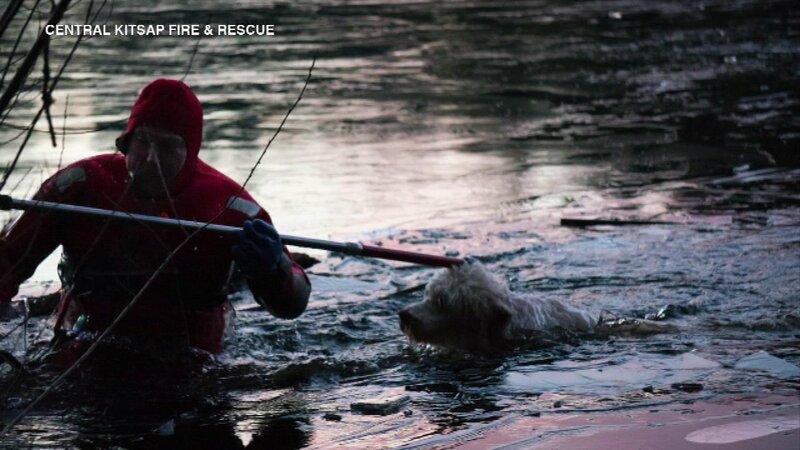 He was given a warm bath and is expected to be OK.